Promoting an online store in 2018 is not an easy task. With rising competition, it has become extremely hard for store owners to generate quality leads and convert them. A landing page is one of the most important elements for an ecommerce site. 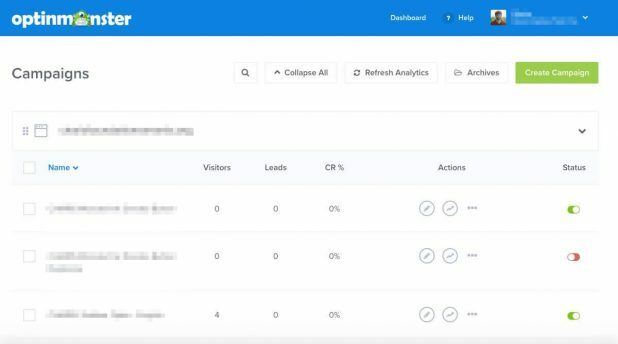 Unbounce lets you create conversion friendly landing pages that help you to generate more sales with less effort. You can easily build high converting landing pages and sticky bars using a drag and drop builder. With just a few clicks, you can add or change any element of your web pages. Place targeted popups on any web page and drive more sales. With a feature like DTR (Dynamic Text Replacement) you can easily improve your Adwords quality score so that you spend less and sell more. All the pages use parallax scrolling to create a fluid, 3D experience. You can run unlimited A/B tests. You receive automatic notifications every time you generate a lead. Hello Bar helps to improve the effectiveness of your website by displaying the right message to people at the right time. Increase your list of email subscribers. 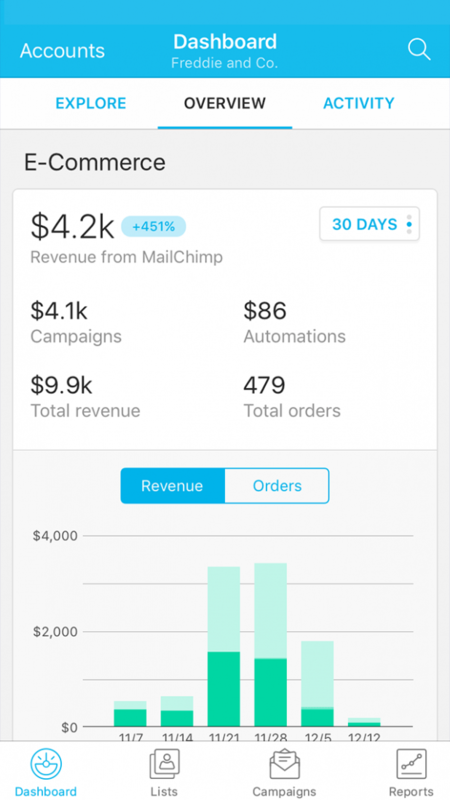 Hello Bar automatically sends email subscriber data to MailChimp or any other email marketing tool. Promote your content on social sites like Facebook, Google Plus, LinkedIn, Pinterest etc. This also helps to grow your social following. It also allows you to test messages that work best for your brand. Marketers are now obsessed with marketing automation. MailChimp is an all inclusive platform that offers powerful automation for online sellers. 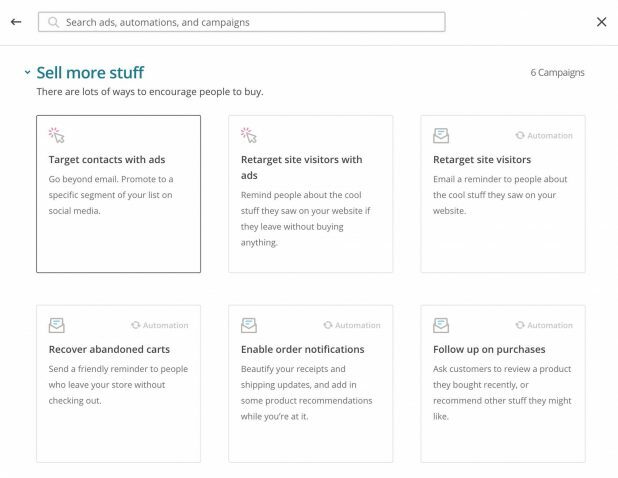 You can easily connect your store with MailChimp’s ecommerce integrations and create targeted ad campaigns. You can target customers based on behavior, preferences and previous sales. Automatic emails can be sent using a single API. You can target your contacts with personalized ads in order to reach them personally and segment them across social media. With the help of MailChimp’s mobile app, you can create ad campaigns, add or remove content blocks and insert product images on the go. The all in one dashboard allows you to have a quick view of sales. Moreover, you can access advanced analytics features from anywhere. 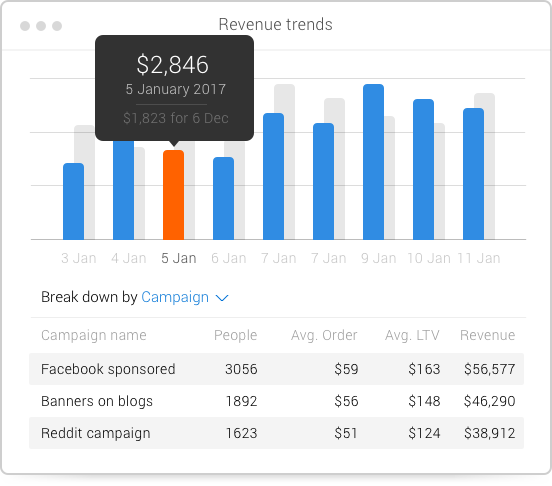 MailChimp displays revenue reports and takes into account the purchase data using Google Analytics. This lets you refine and optimize your email and ad campaigns. You simply can’t run an ecommerce business effectively without a POS (Point of Sale) software. With the help of Shopify POS you have the power to accept credit cards anywhere at any time. This gives you the ability to sell from a place where your customers are already present. Track and manage inventory across channels. You can accept any form of payment and process transactions on Apple or Android devices. You can apply bulk discounts and optimize your invoices for taxes. With a centralized product inventory, your workload is balanced and all the operations are simplified. You have unlimited bandwidth, product inventory and customer data. New platforms like Amazon and Pinterest are supported which means you can directly sell on these channels. You cannot ignore the power of referral marketing if you are an ecommerce business owner. 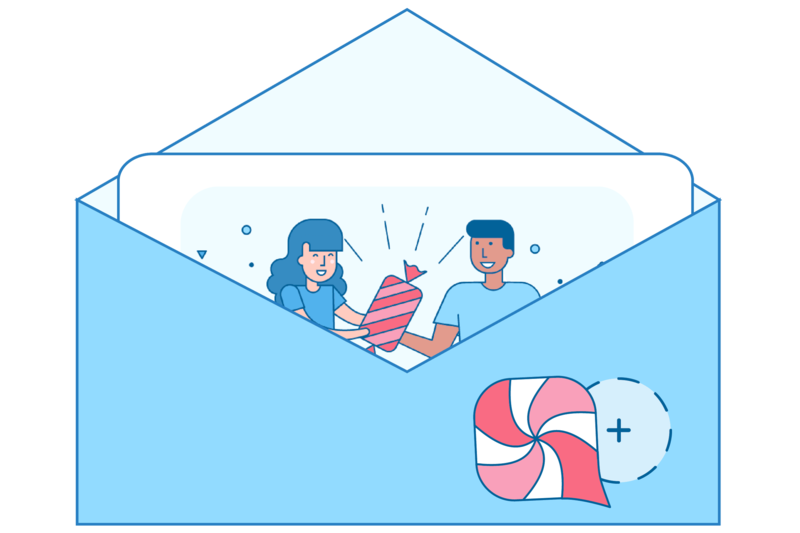 One of the most effective ways to improve sales both online and offline is through referral marketing and ReferralCandy is an awesome tool that lets you easily manage your customer referrals. Your best brand advocates are your customers. 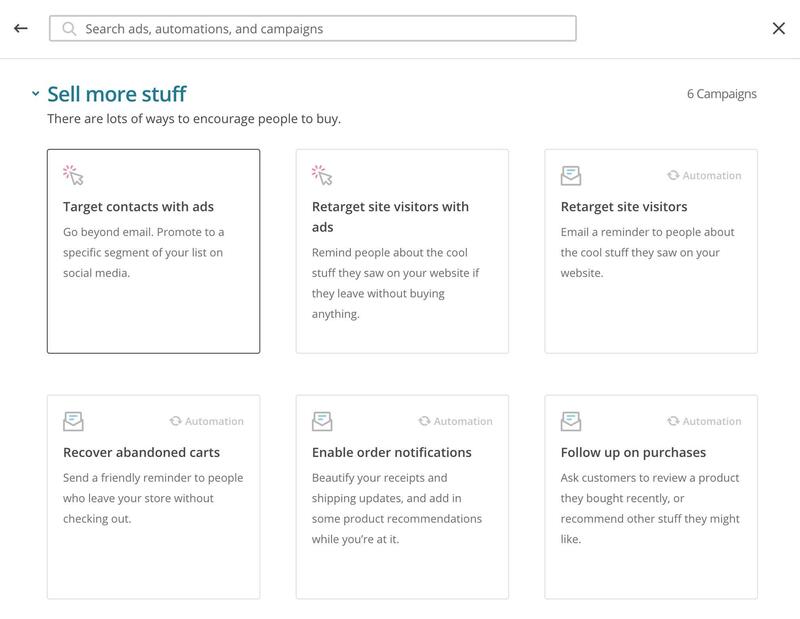 ReferralCandy lets you reward your customers for sharing your store with their friends. You have the option to reward people with cash, discount coupons, store credits or free products. Simply upload your logo and you have an awesome referral program ready. It offers specialized widgets and templates that you can use to promote your referral program to others. You can share personal referral links with your customers to make it easy for brand advocates to share the link with their friends. Almost every ecommerce business has lots of data but is it of of any use if it doesn’t work for you? Metrilo makes your data work for you. With Metrilo ecommerce analytics you see suggestions that actually help you sell. You can automate and send personalized email messages using this tool. You can access a specialized CRM that eases management of data in order to improve ROI. Sorting of customer data becomes easy and you can send personalized messages to your customers. As an ecommerce site owner, what you need is leads! Wouldn’t it be great if you could convert your website visitors into subscribers? OptinMonster is like a lead generation machine for you. 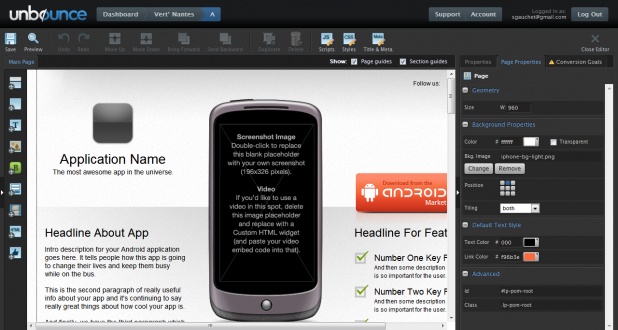 You have multiple form design templates and the ability to add custom HTML and CSS to forms. You can integrate it with major email marketing services like MailChimp and Aweber. An easy to use canvas tool is there through which you can create custom popups. It allows you to add animation effects to your forms. This improves the user experience and allows you to generate more leads. You can test the forms before you display them. Moreover, faster loading time of forms allows the user to take faster action. Make use of the above tools and constantly try to reach customers during their micro moments. Remember, time plays a crucial role in this regard. If you use the right tools at the time time, then it becomes easier to generate and convert leads for improved ROI.